Stuck between choosing what is best for that fitting outfit or a perfect gift idea for that special someone. Well, here is an escape. The moonlight Santorini necklace is everything the name says. It comes with more sparks than the moon, thanks to the rainbow Moonstone on the face that is sure to light your whole outfit. The 18 inches long chain is made from silver and comes as a perfect match with the Moonstone and whatever you want to wear it with. Sure enough, that special someone is definitely going to love it for a gift. 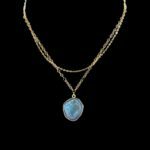 There is nothing better than the moonlight Santorini necklace for a wedding present, birthday gift or Valentine’s Day gift. Sterling silver chain: the chain is as strong as it is beautiful. It is made from original silver and guaranteed to boost your appearance, class and sophistication. 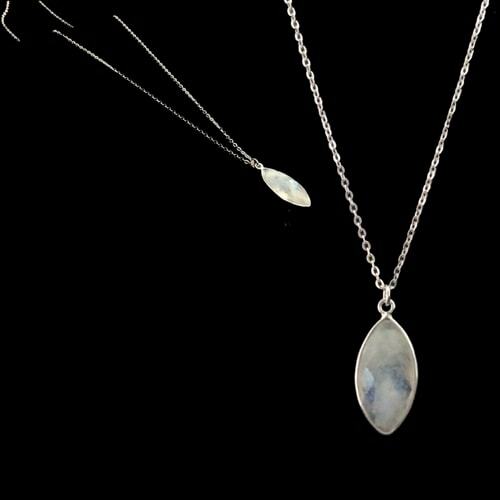 Rainbow Moonstone: the rainbow moonstone is shiny, beautiful and everything that you need to stand out from the regular. It complements the silver chain in an amazing way. 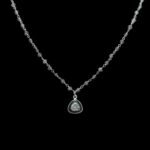 Strong and Durable: the moonlight santorini necklace is built to last with the strong silver chain. They are strong and handmade to withstand whatever pressure and time factors they are faced with. You can wear them for as long as you need to. Trendy: they are beautifully designed and will boost your fashion sense. They are a perfect match for your outfits and will complement whatever you have on. Perfect gift idea: whether it’s for a wedding present, birthday gift or Valentine’s Day gift, the santorini necklace is always a grand idea to show just how much you care to your loved ones. Something to make them think of you all the time when they look at it.